Handle Material: Mosaic Inlays of Pearl, Bakelite, etc..
A Fantastic "Credit card Auto" by Juergen Steinau! 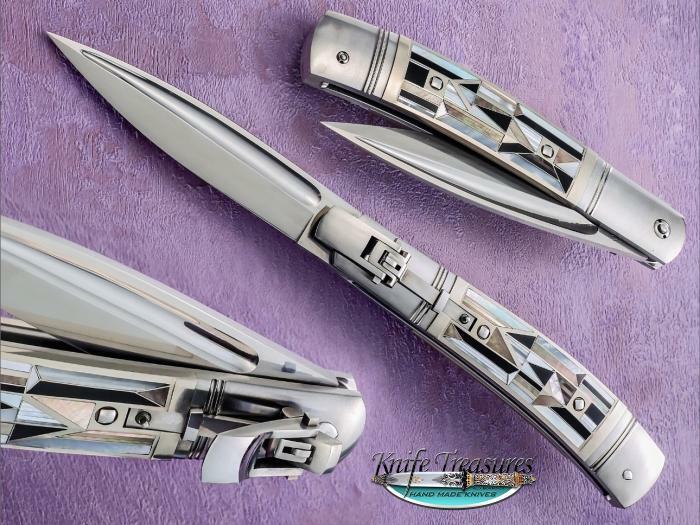 This knife is absolutely amazing and made by one of the premier knife makers in the world today. The mosaic inlays are made out of Pearl, bakelite and various materials to form a beautiful design. This is one of the "Holy Grails" for a knife collector. Get it while you can!